My L1 1S with B1 and T8 is coming today. We have a gig on the (outside) back patio of a bar on Sunday, expecting 100 or more people. Band is: guitar, bass, drums and keys/accordian so 4 piece with 3 vocals. We usually go with JBL traditional PA, two 10's and two 15's and a Mackie 16 channel. I would like to use the new L1 for the gig but not sure of the best way. Currently thinking we might use the L1 just for (3) vocals and we all use our amps for instruments. Would the L1 carry vocals in the outdoor space over drums and three amps? Would you recommend bringing the JBL's as back up? Anyone have experience with L1 1S and a similar gig? Where is the best place to locate tower on stage? I use a pair of Compact L1's with separate mixer and it carries well for a five piece band with vocals and instruments either DI'd or micced up. 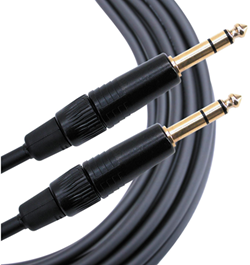 I use a 1/4 jack to XLR for left and another for right out and run one each to each Compact. Thanks for your reply. Yes, the plan is to add another L1 and run a pair of towers. I will just have the one for now. My L1 1S with B1 and T8 is coming today. Congratulations on getting your L1 Model 1S with B1 and T8S. We have a gig on the (outside) back patio of a bar on Sunday, expecting 100 or more people. Band is: guitar, bass, drums and keys/accordian so 4 piece with 3 vocals. We usually go with JBL traditional PA, two 10's and two 15's and a Mackie 16 channel. I would like to use the new L1 for the gig but not sure of the best way. Currently thinking we might use the L1 just for (3) vocals and we all use our amps for instruments. That's a good start for a first time out. This will depend on how loud the drums and amps are. It depends. I strongly recommend you rehearse setting up and running the L1 Model 1S and T8S, preferably in a large space where you can turn things up and get used to using the T8S. If you can't rehearse the system, then carry backup. Yes, many times. If manage your stage volume so everyone can hear their vocals from the L1, the audience should hear you too. Make sure your firmware is up to date - this is very important. All references to the T1 ToneMatch audio engine apply to the T8S as well. Use the ToneMatch power supply that came with the T8S. Set the L1 Model 1S Analog Input Trim control to 9:00-10:00 o'clock. Then use the T8S Master Volume control to manage the volume. Rehearse all of this before you get to the gig. Gig on Sunday is outdoor but enclosed space for about 100 people. Recently came across someone with a L1 Compact and a chance to borrow it to pair with my 1S using my T8S. I understand towers should be 20' apart. Should I run two TRS cables out of the mixer mains, one to each tower input? Better to Daisy chain? Any additional suggestions appreciated. Thanks for your reply and very helpful comments. Tried my new L1 1S with band last night in a (small) basement and LOVED the sound. We ran three vocals, acoustic guitar and a mic for the accordion into the Bose. Bass and guitar were thru amps, had a drums not mic'd and the accordion player switched off with keys thru his amp. Sure, this all makes sense. Gig on Sunday is outdoor but enclosed space for about 100 people. You can use the same setup outdoors. It should be fine. Recently came across someone with a L1 Compact and a chance to borrow it to pair with my 1S using my T8S. I understand towers should be 20' apart. For an audience of 100 in an enclosed space, you may not hear a lot of difference when you add the L1 Compact. If you put the two L1 units on either side of the stage (I wouldn't unless the space is wider than it is long) then the benefit will be wider horizontal dispersion. That is - if the units are 20 feet apart, then the benefit is 20 feet more horizontal dispersion. You won't get more forward projection. The L1 Model 1S will project farther in every direction than the L1 Compact. This won't be a big issue in a small space, but you'll probably notice it outdoors as you get farther away from the stage. Should I run two TRS cables out of the mixer mains, one to each tower input? Better to Daisy chain? Any additional suggestions appreciated. Yes, run two Tip-Ring-Sleeve cables out of the T8S mains, one to each L1. This will give you far more control than if you Daisy chain. Gig passed and while guest of honor was pleased, not everyone agreed the L1 1S and B1 paired with an L1 compact carried the oomph we needed in the outdoor back patio. Depends on who we asked. Folks up front said we had a nice balanced volume. Folks in back said they couldn't (or could barely) hear us. Band members were split. Of course the drummer said we weren't loud enough. We used the L1's to carry three vocals, accordion and a little bit of kick drum. Towers were behind us and if I had to do it over (which I will as we have an indoor bar gig first week of December) I would move towers up to side stage, closer to audience. Upshot of all this is I'm returning the L1 1S and B1 in exchange for the L1 II and B2 and adding a B1 to the L1 compact. Also will review staging gain procedure and continue to learn how to best use this beast. When they have been dialed in during rehearsals I feel like my music is so much better for being able hear myself and the sonic quality produced. I'm willing to deal with the growing pains and expense to make the L1 work for us especially if it means breaking out of the trap of playing TOO LOUD and not hearing ourselves as the audience hears us. Moving to the L1 to me is a revolution of sorts against the over driven double 15" PA I'm so sick of schlepping in and setting up on stands only to hate what we hear anyway. Your suggestions and support appreciated! !